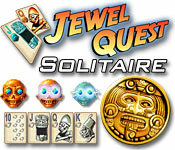 Jewel Quest Solitaire is rated 4.0 out of 5 by 15. Rated 5 out of 5 by SherreP from Always different Best game I've ever played! It makes you think and plan. The challenge is always different. Bought it because I like it so much. If you like solitaire, do yourself a favor and get this game !!! Rated 5 out of 5 by mcf_fan13 from Creative and Fun Very well done; nice offshoot of Jewel Quest. It is a quality game, challenging (sometimes had to play the same level game a few times trying different strategies), but not overly brain damaging. Wild card strategy important, so fun. Enjoyed how they incorporated jewel quest in each. I figured it out, but I wish the help would have explained what each wild card type meant (maybe I missed it), important to strategy. Good twist on solitaire. Graphics nice too. Rated 5 out of 5 by habcat from great game best game ive played for card games.....im really hoping they will make another one. Rated 5 out of 5 by rainbowtree from Jewel Quest Solitaire Nice addition to the jewel quest series. Interesting storyline illustrated with hand-drawn graphics and handwritten notes. 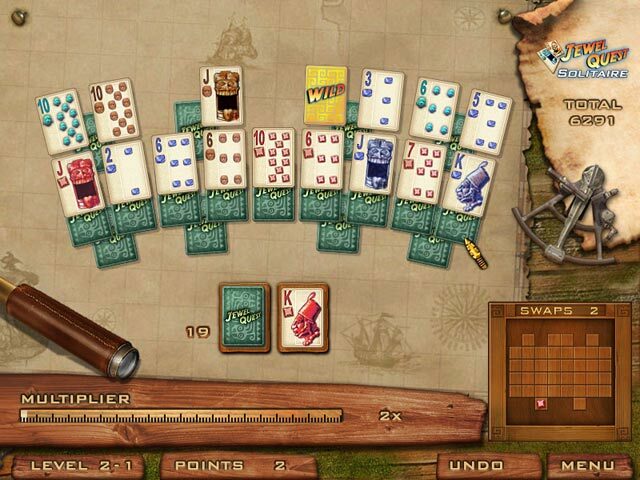 Fairly relaxing solitaire game with a variety of card layouts. Love the added bonus of turning jewel boards gold using swap tokens. 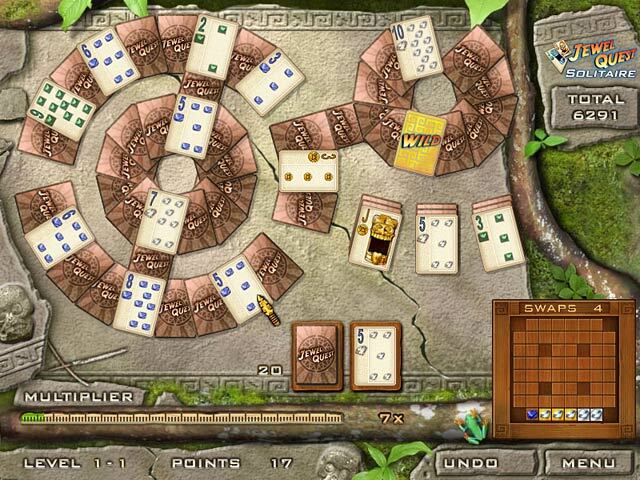 Rated 5 out of 5 by ocie_3_lw from Jewel Quest Solitire It is much fun & playing Solitire at a new level. I like-it !!!!! Rated 4 out of 5 by raylynn6012 from on your toes I love this game. It helps to keep your mind sharp and you have fun doing it. Rated 4 out of 5 by LilaJane from An old favorite I've had this solitaire game for years. It's a great mix of relaxing and fun and later on some challenge. There are two options to choose from, one where you have to fill a jewel board in order to move along, and another easier one which is "just cards". The game is easy to start with. However: there are 3 levels that go up in difficulty in both play modes: normal, silver and gold, and the gold level is very hard. You won't get many "undo"s, there is a new suit of cards with some special rules, and so on. That is one of the reasons I like the game so much: there's the easy, relaxing play during which it's a good idea to build strategy, in order to win the more difficult levels. Or you can just ignore the difficult stuff and have fun playing the normal game - it's quite a long game regardless. As far as I've figured it, the way to fill the jewel board is, you get a jewel for every card, except the very first one you play. If you follow with a card of the same suit you get two jewels instead of one. You keep getting jewels as long as you don't break the chain. (Some wild cards also give you jewels.) As soon as the jewel board is full, the tiles start turning gold instead. But I played and enjoyed the game for ages without ever paying much attention to this, in the normal level it didn't matter so much. The reason I did't give this game 5 stars is that it crashed on me a few times, just as I'd won a really difficult hand! But it's a good, long game so I can easily recommend it. I recently played the demo for Jewel Quest Solitaire 2. It was a card matching game (at least in the demo time), so it was very different from the first. Rated 4 out of 5 by brimaz from Fun game, BUT! 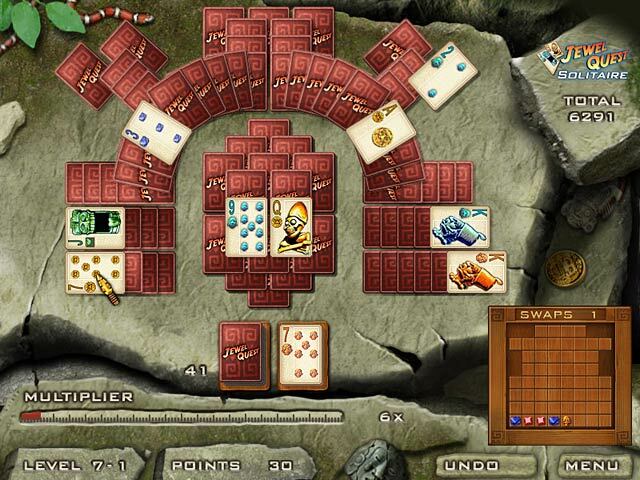 I like this game, with it's combination of solitaire and Jewel Quest, but a frustrating side of it is when playing the swap games it says there are no more matches and dumps the board to empty, when in fact there is at least one available match! This has already happened 4 times, and I've only been playing for less than an hour! Please - a fix is needed a.s.a.p.